Tech Blog with latest tech news CopyShould How to Restore Deleted Photos & Videos From a Digital Camera Tech Blog with latest tech news CopyShould!! A big advantage of digital cameras is the delete button which erases photos with a simply tap, letting you to choose which pictures you retain. This feature has its dangerous part too, because only one mistake is needed to lose all pictures stored on that memory card. On traditional cameras this would be possible only if you would expose the film to sun, but the simplicity that came with newer technology may have its downsides too. For instance, what happens when you accidently remove a picture? It is lost forever or there are ways of recovering the file? Luckily, the short answer favors those careless and in the following lines we are going to explain why deleted photos can be recovered from a digital camera and most important, how. 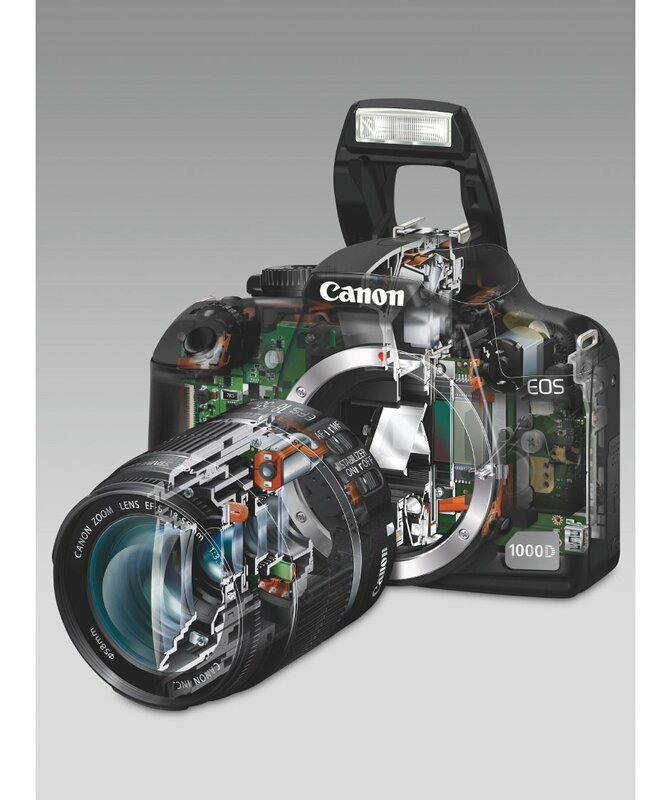 How a digital camera actually works? These days everybody owns a digital camera and uses it for different reasons, from capturing important family moments to just taking photos of a beautiful landscape. All in all, they represent a better solution than old cameras in many ways, such as the capability of organizing photos much better or the possibility to share pictures via social networking sites. Practically, a digital camera stores all photos on a flash memory card which can be a SD, CF, Memory Stick, MMC card or other types. They are made by different manufacturers, have different sizes and appearances, but they have the same essence – one very similar to a floppy disk or a hard drive. When you choose to delete a picture or a video, your digital camera will locate the space allocated and mark that space as available for future usage. The picture is not actually deleted until another image takes its place. So basically, the photo is still there and it is very important to stop taking other pictures or the chances of recovering pictures that have been accidentally deleted will be reduced. Asoftech Photo Recovery Software is a specialized program in recovering deleted, formatted or corrupted photos and videos from your digital camera. 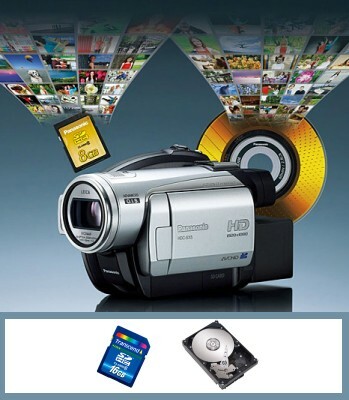 It supports all memory card types including MMC, Memory Stick, CF Card, SDHC and several file types. The interface is bright purple, easy to use and even allows a personalized search, limiting file types for better and quicker processes. Users reported that the software showed some problems in recovering movies in .mov format, but for pictures everything functioned smoothly and quick and they were all recovered. To undelete files, simply launch the program and choose the mounted memory card. After that, specify the save path, click “Start” and all recovered data will show up. From the results page you can also choose only certain photos or videos which you want to save on the personal computer. A big disadvantage of Asoftech is the price, because even if it’s so good at recovering pictures you will have to pay $29.95 to really use it. The demo version will only find lost pictures and videos on a memory card, but it will not offer the possibility to save them. 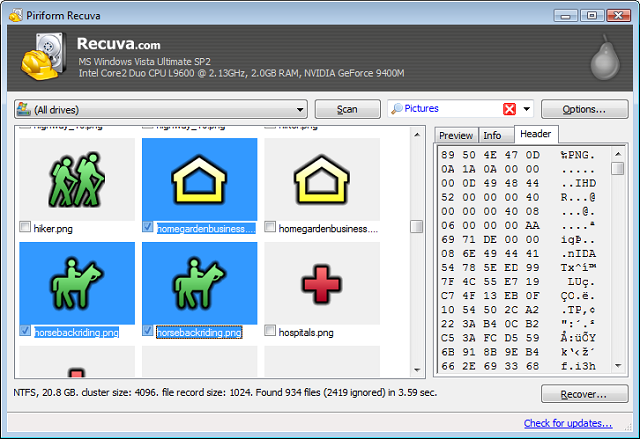 Also, the compatibility in the demo version is limited to four major file types: JPEG, BMP, GIF and PNG. PhotoRec is a powerful application which can recover photos and videos from almost any device. Developers are saying that it recognizes over 390 different file types and it works with every memory disk, hard disk or USB stick that exists on the market. However, the interface may represent a big disadvantage for some users because the program runs in a DOS box or from a command line, which may not appear so user-friendly. Another problem is that PhotoRec is actually a surrogate program to TestDisk and if you want to get it, you will also have to install TestDisk. Once you have it, simply open the program and a menu will pop-up with a list of all storage devices that are connected to your computer, including hard-drives, removable drives and mounted cards. 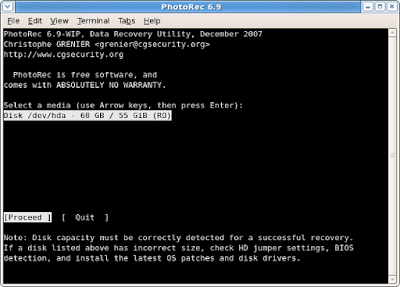 Choose the problematic memory stick and select search parameters, which can be for example “Bruteforce” that recovers more fragmented JPEG files or “Low memory” if your computer has crashed during past recoveries. Next, select the place where you want to save all recovered pictures and wait, because everything else is automated. In case the process takes too much, the program allows you to stop the operations and to resume later. Besides the Windows version, PhotoRec is available also for Linux and Mac OSX and can be downloaded for free from their official page. Start the application and click “Next” on the “Welcome to the Recuva Wizard” page. Now choose the type of files you want to recover. Choose the location of the memory card from the “File Location” page and click “Next”. The next page allows you to select a deep search option, which is preferred in the case of a corrupted memory stick. Click “Next” and wait until the search finishes. Select the desired pictures and press “Recover” to save them on the computer. After searching finishes, a list with the found pictures is shown along with their health and other detailed information. Health refers to the fact that the picture was partly overwritten or not. Results can be also shown in a thumbnail view which will might help navigating between various results. Besides major file types (JPEG, PNG, GIF) the program is able to recover also Nikon RAW and Canon RAW (.CRW) formats, representing a good choice even for pro consumers. The interesting thing about Recuva is that it comes also in a free portable version so that in case you don’t have internet you can move it between the laptop and computer. The free version is fully-featured, while Pro and Business Editions cost $19.95 and $24.95 and they will only add support from developers. 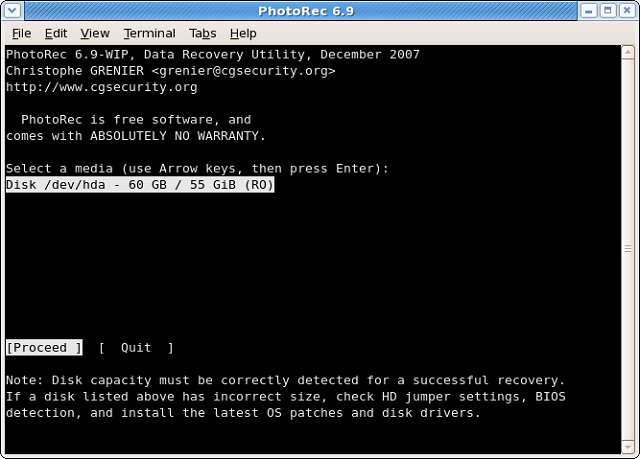 CardRecovery is an application specially designed to recover files from memory cards used by digital cameras. It supports all main file formats and memory cards, from compact digital cameras (JPEG, PNG) used by common users to DSLR cameras (raw format) used by professionals. The interface speaks for itself because everything is placed where it should be and the three step wizard will guide you through a very simple process. All you have to do is to enter the location of the memory card, choose the camera brand (optional) and the destination folder where to put recovered pictures. Everything else is automated and to browse through pictures you will have to wait until the whole process is finished. Developers are saying that for an 8 GB SDHC card you will have to wait approximately 14 minutes to complete a full search. The program also offers a thumbnail preview, only for JPEG pictures and unfortunately, it will show only six pictures on a page which can be a little bit discouraging when you are searching for a particular photo between hundreds of photos. Besides the Windows version, CardRecovery is also available for Mac OSX and can be tried before purchase. Developers offer a free version which will scan memory sticks and find lost pictures, but for the ability to save them, you will have to pay $39. SoftAmbulance Photo Undelete is a powerful tool specialized in recovering and repairing deleted or corrupted photos / videos. It can restore images directly from a wide range of digital cameras, so that you will not need to pull out the memory card and use it through a card reader.This application is also able to recover pictures and videos from hard disk drives, DVD’s, CD’s and Blue Ray disks. Formats like JPEG, TIFF, PNG, BMP and RAW are all supported along with other dozens of different file types. The interface of the program is very simple and light because this program has implemented an intuitive, easy-to-use wizard which will guide you through all processes. Just select the desired device, press scan and it will locate all deleted or corrupted photos and show previews of them, so that you can choose which one should be saved. 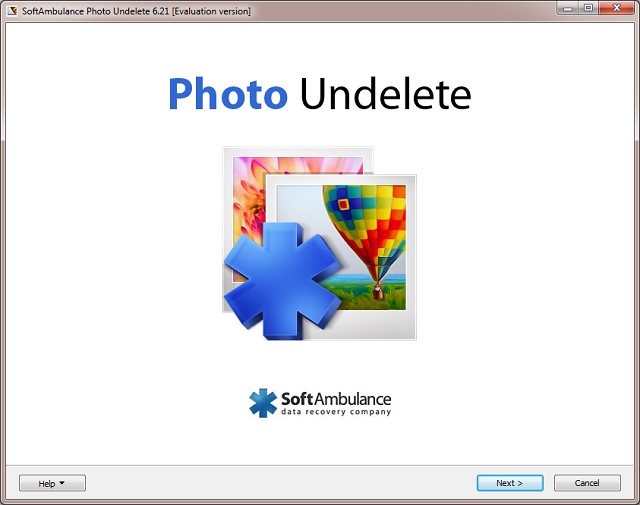 If the memory stick is corrupted or damaged, SA Photo Undelete has the option of deep scanning, sector by sector, which will find any available pictures in no-time.The program also comes with a free evaluation copy which allows only previewing search results, while recovering will cost $44.9. Another interesting option is EaseUS Card Recovery Wizard which is a card recovery program that retrieves deleted photos, videos and audio files from any flash memory cards, USB or SD cards used by cameras and phones. Connect the memory card to your computer and open the software which has two modes: Deleted File Recovery and Deep Scan. While the first is for recovering all deleted photos or videos from a memory card, the second is used to recover from damaged or inaccessible storage devices. When the scanning is over, you can choose which pictures or videos should be saved. 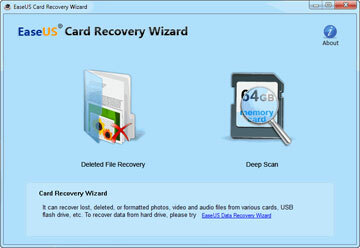 Easy and reliable, EaseUS Card Recovery Wizard can be purchased for $39.95.